There was a period in early February when it seemed as if the HFX Wanderers first XI was going to be comprised solely of defenders. Like the lewd plot of a Jose Mourinho-authored Harlequin paperback, every player announcement strengthened the narrative that Wanderers were gearing up to be a defensive outfit with little regard for attack. It was difficult, at first, to get a clear read on what the defensive signings told us about the squad. With the absence of attacking players as reference points, the early feeling was that Wanderers had a lot of full-backs and that was about it. Now, with a more evenly balanced squad in place, it’s possible to take a step back and view the defensive signings through a slightly clearer lens. One unstained by a striker-less anxiety. The make-up of the eight defenders signed so far (I’m including U Sports draft picks Andre Bona and Peter Schaale, despite neither being confirmed) is an interesting one, in that there aren’t many who could be considered positional specialists. Most can operate in a number of roles across the backline, with some even able to play further up the pitch in the midfield. What this flexibility gives Hart and his team is much-needed depth. Take the right-back/right wing-back position, for example. While Zachary Sukunda is likely to be the starter, Andre Bona, Chrisnovic N’sa, Elton John, and Ndzemdzela Langwa could also do a job there. This isn’t the first-choice position for many of these players, but they’re flexible enough to fill in if required. This lean towards flexible personnel as an antidote to a small squad size can be seen all across the back-line, with the majority of defenders adding depth to more than one position. A quick scan of the personnel signed thus far suggests that Wanderers will line-up with either a back four (4-3-3/4-2-3-1) or a back three with wing-backs (3-5-2/5-3-2) this season. Here we take a look at how each of those set-ups could look from a defensive stand point, come April’s opener. The modern incarnation of 5-3-2 bears only a passing resemblance to the tactical revolution that it descended from. The most famous interpretation came in the 1970s, when a Franz Beckenbauer-inspired Germany used a back three to devastating effect. To combat the vogue formation of the era, 4-4-2, the Germans employed a back three to give them a numerical advantage over the opposition attackers. While his fellow center-backs occupied the opposing two strikers, Beckenbauer played one or two yards behind them as a sweeper, or libero. Without possession, he could cover runners and clean-up loose balls, with it he could operate as a deep-lying playmaker. Today’s 5-3-2 isn’t quite the same. The emphasis now is on the wing-backs joining the attack as often as possible. In doing so, they create overloads on both flanks by overlapping with the wide midfielders and attackers. It’s a double-barreled threat because even if they don’t receive the ball, the overlap in itself drags the opposition defenders wide enough to create space centrally. 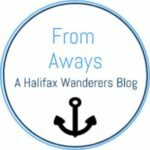 HFX Wanderers have the personnel to make this work in the CPL. Within this system, Ndzemdzela Langwa and Zacahry Sukunda can operate as attacking wing-backs. Both can play on either flank, so there’s added flexibility there, although Langwa on the left and Sukunda on the right makes the most sense. It has been evident in training this week how much width both can give the team. Whether this is down to instructions from Stephen Hart or just a proclivity to do so isn’t clear, but several times during Friday’s session both players found themselves in promising positions high up the pitch. Should one of Langwa or Sukunda get injured, Wanderers have enough depth to cover them. Andre Bona, a former sprinter, would certainly add pace and power to the right wing-back position. Nineteen-year-old Chrisnovic N’sa offers a similar physical profile, but is more likely to be used as a center-back. One wild card for a right-sided role is Oscar Marshall. The seventeen-year-old Nova Scotian is currently on the books with Impact’s U17 side, but after training with the Wanderers squad for the past week, there’s a considerable buzz around him. Whether he’s there to make up the numbers or as a prospect for next season, is unclear. Cover on the left comes in the form of Alex De Carolis. The Ontario-native spent last season with Umea FC in Sweden, where he played as a center-back. Despite this, he’s naturally a left-back, so there’s every chance he could find himself in this role for Wanderers. Don’t be surprised to find Zachary Sukunda swapping the right side for the left throughout the season, too. With so many combinations to toy with, Hart certainly has the wide players available to play with wing-backs. The question though, is do they have enough bodies to play with three center-backs? In Chakib Hocine and Peter Schaale, Hart has two specialist center-backs, but it’s the depth available that may be of slight concern. Alex De Carolis, Chrisnovic N’sa, Andre Bona, and even Elton John can all fill in as part of a back-three, but they’ll also be needed as cover for several other positions on the pitch. It may be a case that Hart only uses 5-3-2 when he has the personnel available. On the occasions when they aren’t, a back-four remains a convincing alternative. In terms of the center-back pairing of choice in a back-four, it’s hard to see past Chakib Hocine and Peter Schaale. Chakib Hocine is a tall and surprisingly technical central defender. Adept at reading the game from deep, disrupting attacks and playing line-breaking passes, the Algeria-born defender has played most of his career as part of a center-back pairing. Should he control his propensity for the dark arts (read: shithousing), he could emerge as one of the key leaders in this young Wanderers team. While still not officially listed as a Wanderers player, Peter Schaale has been one of the most impressive players during the past week’s training. Strong, commanding, and with a fantastic range of passes, the German looks to be a lock-in at center-back if he signs. With regards to back-up, Chrisnovic N’sa is a promising young defender. He’s only 19 though, so may be considered too inexperienced for a role in central defence. The former Impact academy member is more likely to be blooded at full-back, where individual errors aren’t so harshly punished. Another two players who could potentially fill in as part of a back two are Andre Bona and Elton John. Both would perhaps be better suited to other positions on the pitch, though. With Bona as a more natural right-back and John as a holding midfielder. The first-choice full-backs would remain the same as in the 5-3-2, albeit with a slightly more conservative interpretation of the role. Full-backs in a back-four can still be vital attacking weapons, but there tends to be more balance required. It’s often too risky for both to commit themselves to attack at the same time as it leaves an exposed back-two. Even with a holding midfielder to drop in to make it a back-three, the insurance policy of having an extra body available is taken away. Much then will be required of Sukunda and Langwa to quickly develop an understanding of when to take turns attacking and defending. Much of this responsibility will be informed by the opposition. Certain teams will be targeted down particular flanks, therefore informing who carries the attacking impetus from game-to-game. Playing with a back-four will also allow Wanderers to comfortably play out from the back. Hocine and Schaale can split to either side of the 18-yard-box, the full-backs can hug the touchline 5 to 10 yards higher up the pitch, and a holding midfielder such as Elliot Simmons can drop in to create a fifth passing option. It’s likely that Stephen Hart will spend much of preseason looking at both systems before deciding what Plan A will be. While he tinkers with different options, his hope will surely be that a system can organically grow from the personnel he has at his disposal. Should it do so, HFX Wanderers may find themselves with one of the best back-lines in the league.